Hello lovely followers! 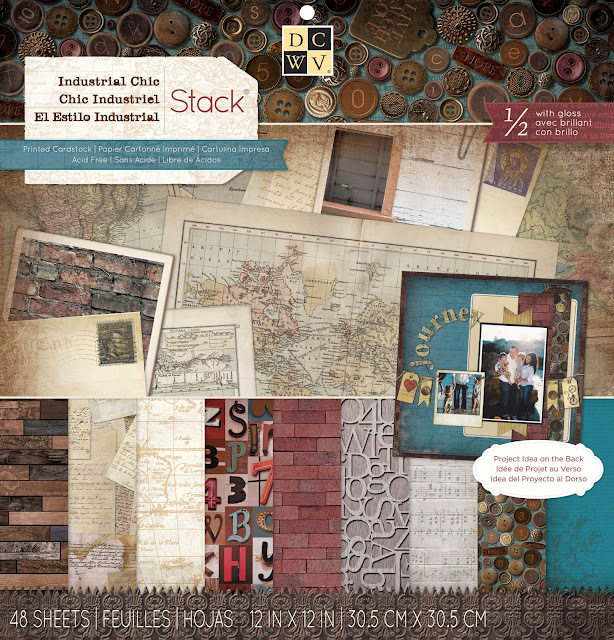 I’m here today to bring you a pretty sweet decor project using the DCWV “Industrial Chic” stack. When I saw this stack I saw the makings of a very cool steampunk project. I knew immediately what I wanted to do with it and started working on the pattern. To me, steampunk is opposites that attract undeniably. It’s ruffles and rivets, lead and lace. I am a BIG fan. So, as I put this together I tried to give it a hard edge while preserving a dreamy quality. I love the idea that this balloon has sprouted wings in order to fly instead of just waiting for the wind. A very steampunk idea if I do say so myself. There is really no complete steampunk project that doesn’t include gears and other little bibs and bobs of brassy technology. I’m super proud of this project and I’d love to hear what you think about it!! Very cool I love Die Cut With a View papers.